We provide various forms of detection including an analysis of internal jaw joint structures. 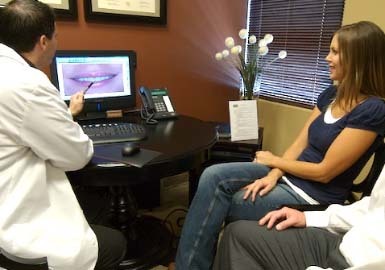 We can provide a Doppler (Ultrasound) analysis of each jaw joint. We can also provide X-Ray, CT Scan, or MRI analysis of each joint. It may be needed to peform muscle hyperactivity testing. For treatment, we can provide non-invasice deprogramming of muscles to relieve pain. New devices or adjustments to existing devices may be needed.